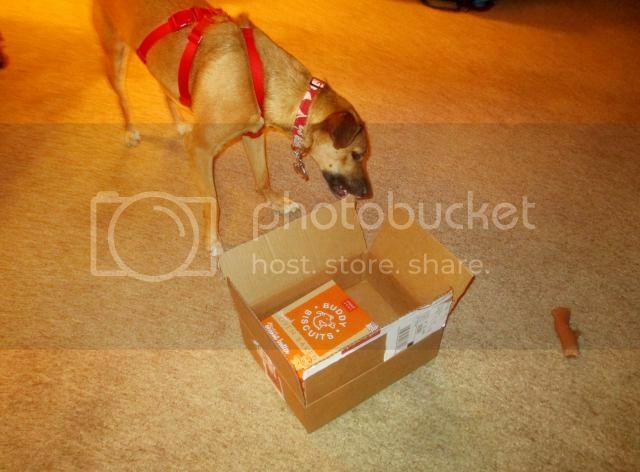 LOL..Sadie opens packages too but she's want to open the ups man first. 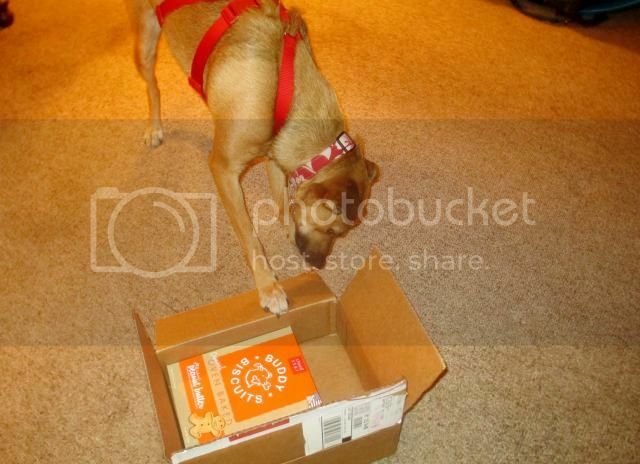 Maybe I should write a letter of concern to Peanutbutter Buddy Biscuits ? She is one silly girl! Did I mention, spoiled too? She needed the treat after being so good at the vets. All little kids seem to like the boxes as well as what is in them. LOL! Lucky girl, would have made Roly's day too. He loves opening boxes, packets and especially presents . Sadie does the same, Bigboy.